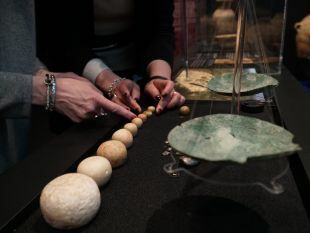 The newly unveiled scrolls lay down the rules for ritual purification and moral conduct that their writers, believed to be the Essenes, jealously followed. Archaeological remains in Israel go back to the dawn of humankind. The aspiration of the "Dead Sea Scrolls" Exhibition is more modest. It covers the period between the Temples, starting with the First Temple era around 3,000 years ago, and ending with the ill-fated Bar Kokhba revolt against the Romans and the ending of the Second Temple era, following which the Jews scattered for about 2,000 years. 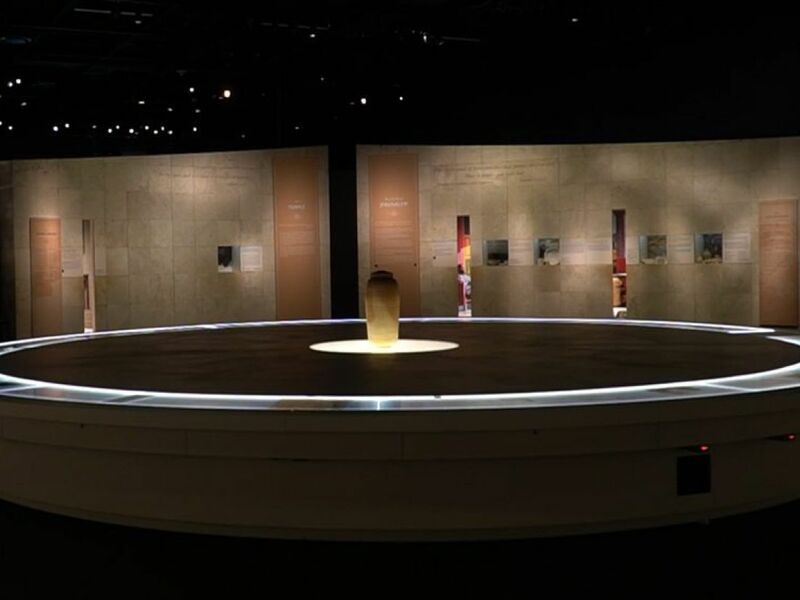 The exhibition also showcases the ensuing periods, says curator Debora Hochman Ben-Ami: the Ottoman and Mamluk empires, the Crusader era, the Fatimid caliphate, and the early Islamic period, with unique artifacts from each. 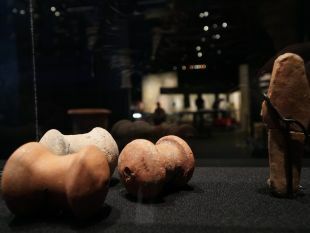 The exhibit also features items of daily life, from the ubiquitous pottery vessels to stone kitchenware typical of ancient Jewish homes, to pagan figurines that not-rarely graced Jewish households during the First Temple period. 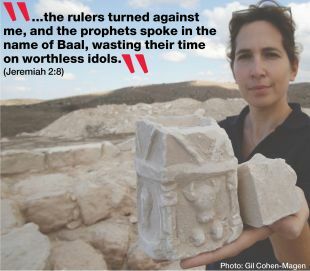 “We want to show life in Bible times to the American public not through the biblical stories, but through real archaeological finds," stated Dr. Uzi Dahari, deputy director of the Israel Antiquities Authority. Controversy continues to rage over who wrote the different parts of the bible, and when, but evidently the road to adoring the One God was a long and painful one. However, eventually Jewish households would stop worshipping other gods as insurance policies or for comfort, and take on a truly monotheistic lifestyle, in which they seem to have taken ritual purification very seriously, as we see in the Scrolls. 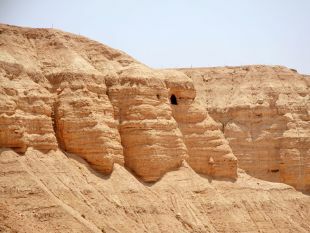 The discovery of the Dead Sea Scrolls by Bedouins in 1947, in the Qumran Caves by the Dead Sea, shortly before the establishment of the State of Israel, would not end the argument over who wrote what. It would not shed light on the veracity of the biblical accounts. The discovery shows that biblical texts were not fixed, but evolved: for instance, there is more than one version of the Book of Samuel. We do not know who wrote the Dead Sea Scrolls, one of which was etched on copper, by the way. Scholars generally think the authors were the Essenes, an extremist Jewish sect that seems to have coalesced when the Hasmonean kings usurped the authority of the High Priest. Hence the Essenes' penchant for referring to an "evil priest" – probably the usurper. 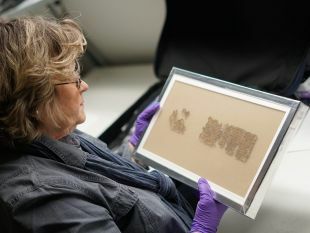 In any case, the delicate parchment (and copper) scrolls were preserved for over 2,000 years thanks to the extraordinarily arid, dark conditions in the desert caves, and are displayed today in carefully monitored conditions. 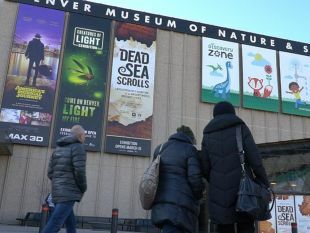 For the sake of their preservation, the first 10 scrolls displayed in Denver will return to Israel after three months and will be replaced by 10 other scrolls, the IAA explains. Also among the Dead Sea Scrolls on exhibit in Denver in the two rounds are biblical, extra-biblical and sectarian scrolls found in Qumran. The entire collection of Dead Sea Scrolls can be seen over internet, at the the Leon Levy Dead Sea Scrolls Digital Library. 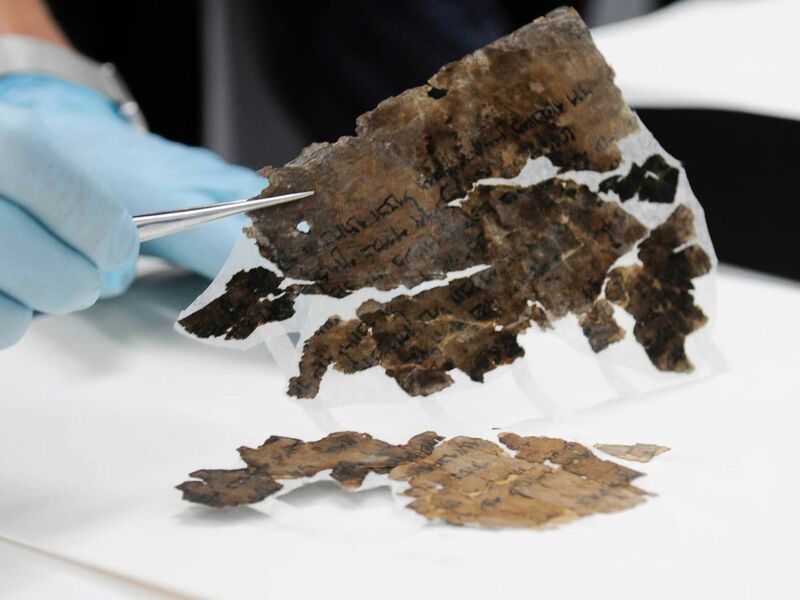 Now in Denver, over the next six months, visitors can see samples of these goatskin parchments in person - including the two never seen by the general public before, touching on purification and morals. The scroll on rules of ritual purity and impurity, called Tohorot (Purities) A, dates from the late 1st century B.C.E., says the IAA. Only the ritually purified were allowed to handle sacred matters. Purification included immersion in the ritual bath (mikveh) and in some cases, even isolation, if the spiritual blemish was caused by illness. 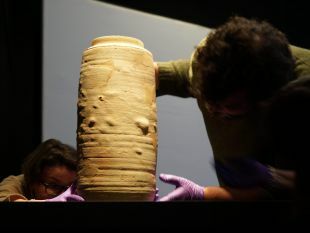 Israel is riddled with ritual baths hewn out of the bedrock: that and the ubiquity of stoneware vessels, which are considered to be immune from contamination, show that Jews from Hasmonean times and throughout the Second Temple period took purity very seriously. This scroll starkly shows out the "infectiousness" of impurity: the ritually impure were isolated not only from the pure – but from those with a different form of impurity. The other scroll going on display for the first time in Denver is called Musar Le'Mevin – to "he who understands" lectures on morality for learned disciples. It is also known as the Sapiental Work Scroll. The messages are presented as information coming directly from God, conveyed through sages to their followers. It too dates to the late 1st century B.C.E. and is rather like an apocalyptic book of Proverbs. The disciples are instructed on moral conduct, ordered to avoid evil – including through fair business practices, and are guided towards success and spirituality. "Each era of the Islamic period is represented by unique artifacts or coins issued by rulers. 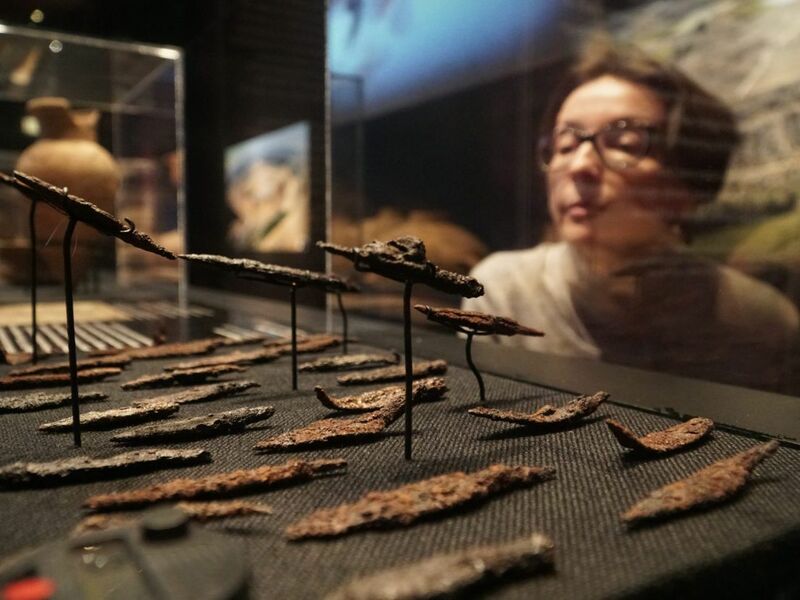 Among the artifacts from the Islamic period are Ottoman pipes, Fatimid jewelry, and dolls made of bone from Jerusalem , dating to the early Islamic period," she says. 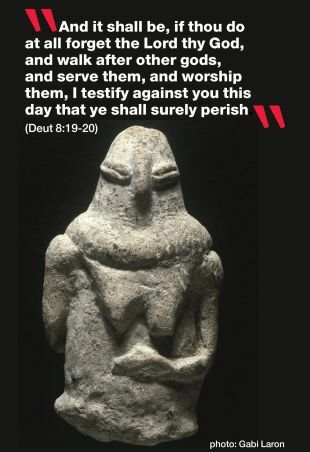 Also featured in Denver are early Christian artifacts and a rare document from the Bar-Kokhba Revolt against the Romans in 132 C.E., which would end so tragically in 135 C.E. with the destruction of Jerusalem and banishment of the Jews. The exhibition is curated by Dr. Risa Levitt Kohn, Professor of Hebrew Bible and Judaism at San Diego State University and Debora Hochman Ben-Ami of the IAA.